Releasing a new major update for Windows 10 is a huge day for everyone at Microsoft. New features are being rolled out, along with additional improvements and bug fixes, to make the system better than in the previous version. While all this sounds great in theory, in practice, many users have problems even acquiring the update. Update issues that prevent users from normally installing a new major update. As the history showed, there hasn’t been a single Windows 10 major update immune to installation issues, and they come in various forms, or more precisely, as various error codes. 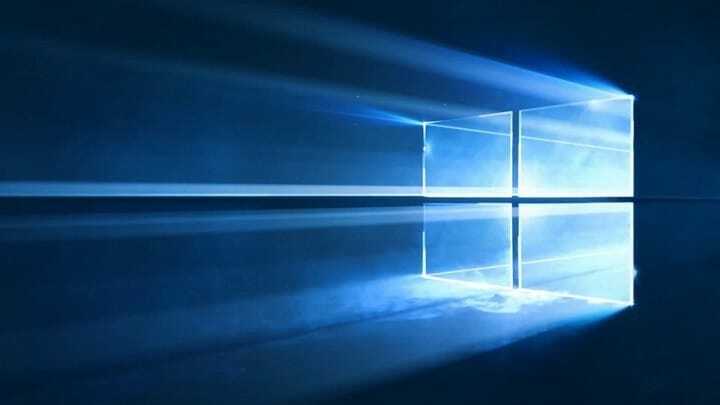 In this article, we’re going to talk about error code 0x80070020, that reportedly prevents users from installing a new version of Windows 10. Since installing the freshest Windows 10 release is highly advisable, we can’t let this error hang in there forever. So, we’ve prepared a couple solutions, that may be appropriate for dealing with error code 0x80070020 in Windows 10. Error 0x80070020 Windows 7 – This error can appear on older versions as well. Even though these solutions are intended for Windows 10, almost all of them can be applied to older versions of Windows, so feel free to try them out. 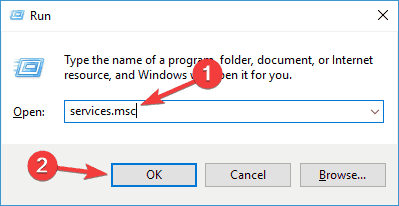 Download error – 0x80070020 Windows 10 – Sometimes this error can appear while downloading the latest Windows 10 builds. If that happens, restart Windows Update components and check if that helps. Third-party antivirus programs and Windows are not the best friends ever. Having a third-party antivirus installed on your computer can actually cause more harm than you’d hope for. That conflict can cause malfunctions of various Windows features, including Windows Update. If you’re using a third-party antivirus, you might want to try changing its settings and check if that helps. In some cases, you might want to completely disable your antivirus in order to solve this problem. Even if you disable your antivirus, Windows 10 has its own antivirus in form of Windows Defender, so your PC won’t be in any danger. In some cases you might even have to completely remove your antivirus to solve this issue. If removing the antivirus solves the problem, you should consider switching to a different antivirus solution. There are many great antivirus tools, but one of the best is BullGuard, so if you’re looking for a new antivirus, you might want to try this tool. This application is fully compatible with Windows 10, and it won’t interfere with it in any way. 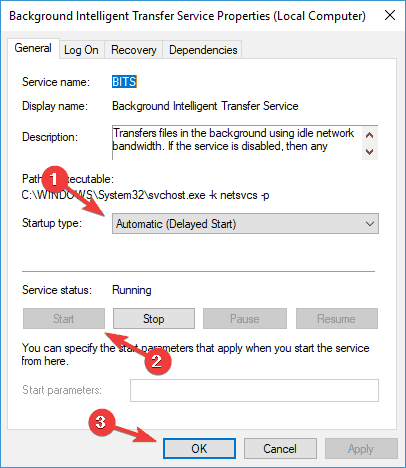 Background Intelligent Transfer Service (BITS) is a Windows process responsible for delivering updates to your computer. So, if this process gets corrupt, you’ll have problems receiving updates. In order to make it work again, we should restart BITS, and try to run Windows Update once again. 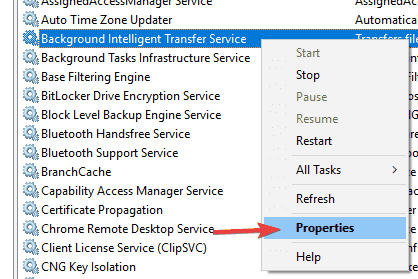 Press Windows Key +R and enter services.msc. Press Enter or click OK.
Find Background Intelligent Transfer Service. Right-click and open Properties. If the BITS is not running, right-click and choose Start. If nothing’s wrong with BITS, move on to another solution. Windows Update relies on various services in order to work properly, and if there are any issues with Windows Update, you might be able to fix them by resetting Windows Update services. After running these commands, check if the problem with Windows Update is resolved. If you don’t want to enter all these commands manually, you can perform this solution by using Windows Update reset script. Although many users consider the SFC scan an overrated solution, it might be helpful in some cases. In case you’re not familiar with this tool, it scans your computer for issues and corrupted features, and tries to solve them (more or less) effectively. Press Windows Key + X to open Win + X menu. Select Command Prompt (Admin) or Powershell (Admin) from the list. After it’s done, close the Command Prompt. Enter DISM /Online /Cleanup-Image /RestoreHealth and press Enter to run the command. DISM scan will now start. The scan can take about 20 minutes or more, so don’t interrupt it. Once the scan is finished, check if the problem is resolved. If the issue is still present, or if you were unable to run SFC scan before, be sure to repeat the SFC scan. After doing that, check if the issue is resolved. Download the Windows Update Troubleshooter from Microsoft. Launch the tool > follow the on-screen instructions. Now run netstat -aon | find “:80” and netstat -aon | find “:443” commands. You’ll see a list of information. Look at the numbers at the right side. These numbers represent the ID of the processes that are using your network connection. 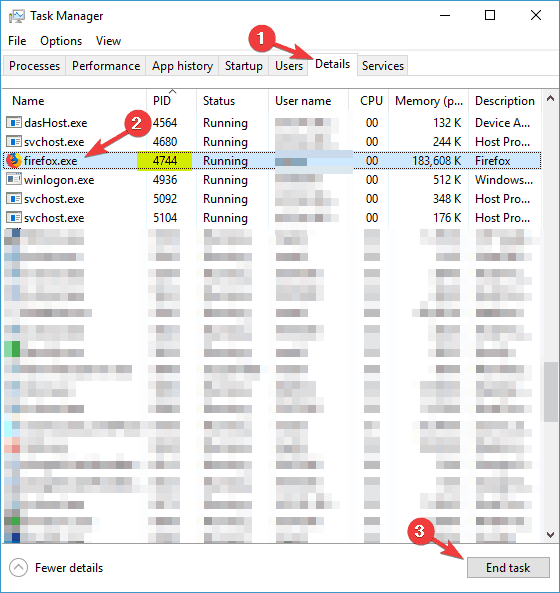 To find a problematic process, you need to open Task Manager. You can do that by pressing Ctrl + Shift + Esc. When Task Manager opens, go to the Details tab and look at the PID column. There you should be able to find the same numbers you got in Step 2. Find the problematic process, select it and click End task. Now go to Services window and check the PID column for any numbers from Step 2. If you find a match, right-click the service with that PID, and choose Stop from the menu. 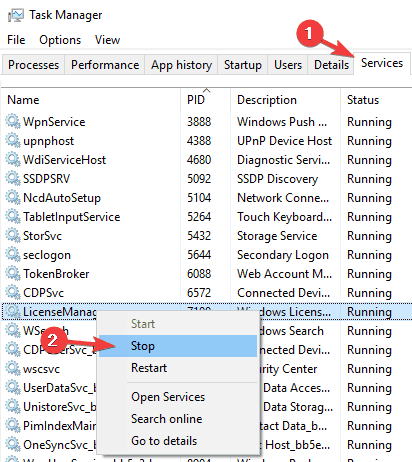 Keep in mind that certain services are required by Windows, so be cautious while disabling services. This is an advanced solution, so be extra cautious and follow the instructions carefully. Download Media Creation Tool from Microsoft’s website. Once you download Media Creation Tool, run it. Wait while Media Creation Tool prepares the necessary files. Select Download and install updates and click Next. Wait while updates are downloaded. Follow the instructions on the screen until you reach Ready to install screen. Click on Change what to keep. Select Keep personal files and apps. Now click Next. The installation will now start. Follow the instructions on the screen to complete it. Once the installation is finished, you’ll have the latest version of Windows installed and the issue should be resolved. 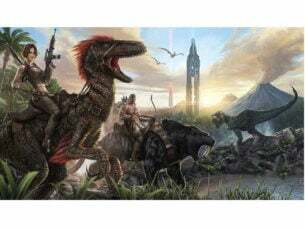 That’s about it, we hope this article helped you deal with error code 0x80070020, and that you’re now able to install the new update normally. In case you have any comments, questions, or suggestions, please reach us in the comments section below.